earthlike | Pleasant's Personal Blog! Earth’s Twins Found! – Yet Another Exoplanet Milestone! There are three fundamental ingredients that a planet must have if LAKI (Life As we Know It) should exist on it and they are organic molecules, sufficient energy for these molecules to react and liquid water as a medium for these reactions. Though it sounds simple, only planets with very close resemblance to Earth in all aspects might harbor these three ingredients. The planets closer to their start are too hot for liquid water and the ones farther are too cold. Similarly the ones too large are gaseous and the ones too small cannot have an atmosphere. That is where finding Earth-like planets become very important. Liquid water is the main component of the primordial soup where organic molecules react and form complex self replicating structures like our DNA which eventually lead to formation of LAKI. There is of course a remote possibility of formation of exotic life forms in planets with extreme conditions like the extremophiles we observe in certain areas on Earth but generally we are on the lookout for planets where normal life forms like our own can exist and flourish. This is in the light of possible colonization of future worlds by humans. After years of hunting, astronomers have finally detected, the first Earth-sized exoplanets orbiting a star quite similar to our Sun, located 950 light years from Earth thereby taking exoplanet research to the next level. These two planets are among five orbiting the G-type parent star Kepler-20. Entitled “Earth-Twins”, they are by far the most important exoplanets discovered. Scientist at the Harvard-Smithsonian Center for Astrophysics, Dr. François Fressin led the research and according to him, this marks the dawn of an exciting new era of planetary discovery. NASA’s Kepler space telescope used the transit method to detect these planets in which it notices tiny dips in the parent star apparent brightness when planets passed in front of it. The scientists then use ground based observatories to confirm that they have found a planet by measuring the minute wobbles of the parent star’s position caused by gravitational tugs from its planets. The larger of the two planets named Kepler 20f, is 1.03 times the size of Earth while Kepler 20e is slightly smaller with 0.87 times the radius of Earth and orbits closer to its parent star. Their masses are 3 times and 1.7 times the mass of Earth respectively. Their orbital periods are 6.1 Earth days for 20e and 19.6 Earth days for 20f at distances of days at a distance of 7.6 million kilometers and 16.6 million kilometers respectively. These sizes are gravitationally good enough to form rocky interiors. According to Dr. Fressin’s team, the planets have Earth-like compositions consisting of a third of iron core with a silicate mantle. The outer planet, Kepler 20f might have a thicker, water vapor atmosphere according to Dr. Fressin. Due to their current close proximity to their parent star, both planets could be too hot to support life. 20e is at 760 degrees Celsius while 20f is at 430 degrees Celsius. Dr. Fressin noted that in the past, they may have had favorable conditions similar to Earth before they drifted closer to their star. The reason he says is that the rocky materials required to form the planets this close to the star is scarce. Hence, they could have been formed farther out and later migrated in. Another curious aspect of the system is that the rocky planets alternate between their gaseous sisters unlike our solar system where terrestrial planets are inside and gas giants are out. Though we have discovered over 700 exoplanets since 1996, this particular discovery is important since this is the first time we received positive confirmation that Earth sized and smaller planets exist outside our solar system. 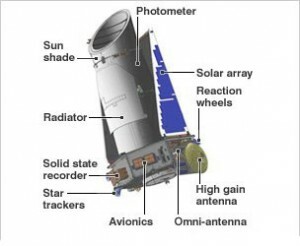 It also is a demonstration of the capability of the Kepler Space Telescope in detecting small planets located at extreme distances. Since its launch in 2009, Kepler alone has discovered 28 definite planets and 2,326 planet candidates. Of these, all are larger than Earth except 20e and 20f. So far the most significant discovery in planet hunting, also made by Dr. Fressin’s team was a planet named Kepler 22b, 2.4 times the size of Earth, located within the habitable zone (the region of space around a star that is neither too cold nor too hot) of its parent star, which implies the planet could harbor liquid water and probably life. According to Dr. Fressin the discovery of Kepler 20f and 20e is the latest most significant of all planet discoveries. This discovery will cause planetary scientists to revise their existing theories on planet formation. Other planets in the system are Kepler 20b, 20c, and 20d with diameters of 24,000 km, 40,000 km, and 35,000 km respectively with orbital periods of 3.7, 10.9, and 77.6 Earth days. Kepler-20d, weighs roughly 20 times Earth’s mass, while 20c and 20b weigh 16.1 and 8.7 times Earth. We live in an era where it is impossible to say whether we are alone in the universe or not. The telescope is currently scanning 150,000 stars and one of the greatest dreams of planet hunters is to discover and Earth sized planet residing in the habitable zone of its star. That would be marked one of the greatest discoveries in all history where we know that an exact replica of our planet exists that could possibly support life. It is only a matter of time before this “holy grail” in exoplanet research is found. Ghosh, P. “First Earth-sized planets spotted.” BBC News – Science & Environment. Dec 20, 2011. http://www.bbc.co.uk/news/science-environment-16268950 (accessed Dec 21, 2011). Moskowitz, C. “Found! 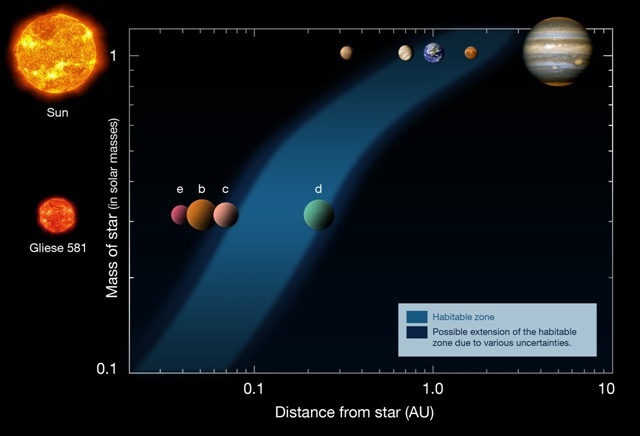 2 Earth-Size Alien Planets, the Smallest Exoplanets Yet.” Space. Dec 20, 2011. http://www.space.com/13990-2-earth-size-alien-planets-kepler-smallest-worlds.html (accessed Dec 21, 2011). Wolchover, N. “Could There Be Life on the New Earth-Size Planets?” Life’s Little Mysteries. Dec 20, 2011. http://www.lifeslittlemysteries.com/life-earth-size-planets-2256/ (accessed Dec 21, 2011).